A company’s success in the era of Industry 4.0 depends on digital transformation. From business models to production systems and to eventually, the company itself – it all needs shaping from a digital perspective. The digital age is driving the way manufacturers look at their processes, with digitalisation presenting a way of not only surviving but thriving in today’s ever-changing and competitive ecosystem. As a result, we have an industry which is demonstrating the biggest change in structure for the foreseeable future. Recent industry figures are also echoing this concern, with manufacturers up and down the UK currently viewing the adoption of new technology as one of their biggest challenges and risks (According to the latest Daisy Manufacturing Report). While this may not come as a surprise to some, its clear that the opportunities digital transformation will bring such as efficient and faster operations and lower costs, will certainly outweigh the challenges. However, these figures cannot be ignored and that is exactly why NetSuite is offering the solution manufacturers need in order for their digital transformation strategies to thrive and succeed. 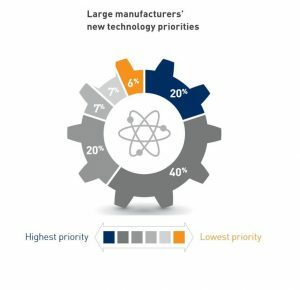 20% of large manufacturers held new technology as a high priority. Image via Daisy Report 2018. This will not only allow manufacturing operators to adopt new digital technologies which will propel their transition to the fourth industrial revolution, it promises reduced costs, improved profitability and end-to-end optimization of its operations. In the manufacturing industry, productivity lever is constantly changing, transforming the value chain and impacting business models. In light of this, it is becoming vital to combine data, integrate systems and processes, as well as make decisions based on cross-functional information. For manufacturing operators, challenges cannot be overcome without this level of information – and digitalization is the way of obtaining and benefitting from it. However, as expected with large shifts in structure, change isn’t quite so smooth and instantaneous for all. In fact, 26% of businesses surveyed in the same report had not yet started digital transformation and did not know where to start, with their often being a lack of connection between their business objectives and how technology can be aligned to these. In some cases, not taking a step forward can mean businesses are essentially taking a step back. For instance, if companies are hesitant in adopting digital transformation, it can result in an inability to eliminate inefficiencies as cost effectively and efficiently as possible, whilst also holding them back from maintaining pace with their rival competitors in the global manufacturing market. In order for businesses to grow, such as Brownfield and greenfield manufacturers, and further develop in the ultra-connected world, they must begin considering software applications, as opposed to hardware ones to ensure end-to-end optimisation of its services. NetSuite’s cloud business management solution is emerging as the answer to this, providing the foundation manufacturing companies need in order to streamline critical business processes, such as engineering, order management and its supply chain, just to name a few. 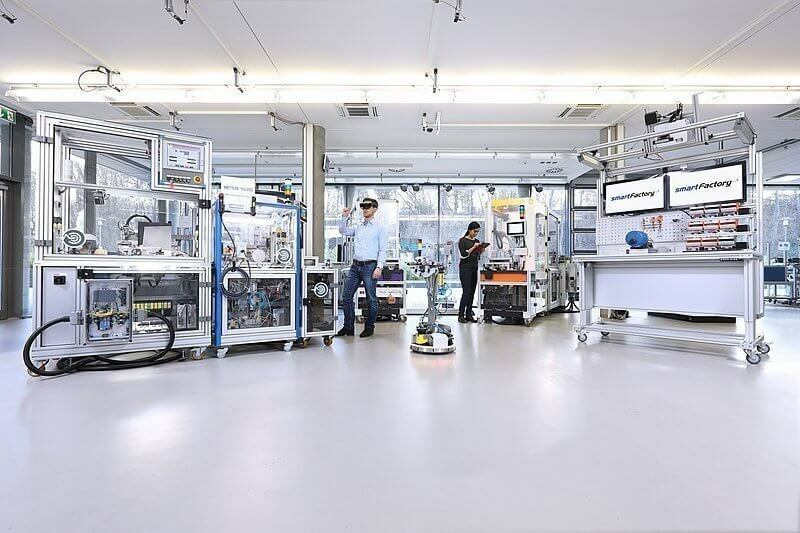 With the ability to automate mission-critical tasks, manufacturers will run faster than ever – saving time, energy and reducing errors. This level of streamlined operations can provide manufacturers with the real-time overview of its supply chains that is required to speed up the orders and financial close processes. Ultimately, this will ensure faster time-to-market of its products, whilst ensuring they are of the highest quality to improve customer satisfaction and care. What’s more, Netsuite is designed to grow with manufacturers and their operations. With two annual upgrades per year, Netsuite automatically upgrades itself so manufacturers can stay up-to-date. Whether manufacturers are scaling or changing their business structure, Netsuite is flexible and adaptable enough to support this change. For instance, manufacturers can roll-out their existing processes to other divisions around the world via NetSuite OneWorld with ease. Each process will be adapted to each location so differentials in tax regulations, language and currency with all be updated – ensuring global operations remain compliant. 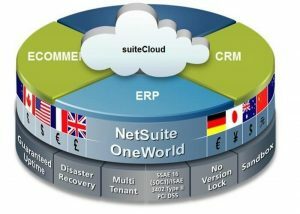 NetSuite OneWorld delivers a real-time, unified global business management platform. The bottom line is that NetSuite allows manufacturers to focus on innovation as opposed to wasting valuable time and resources maintaining legacy hardware and software. By automating the entire product lifecycle management, quote-to-cash and plan-to-report processes, operators will have the correct tools to embrace the digital revolution and grow its operations – enabling them to keep pace in their constantly changing environment, which will ultimately, keep them competitive and profitable. Are you looking to take the next step in the digital transformation of your company? Comment below! If you would like more information about NetSuite please contact us.